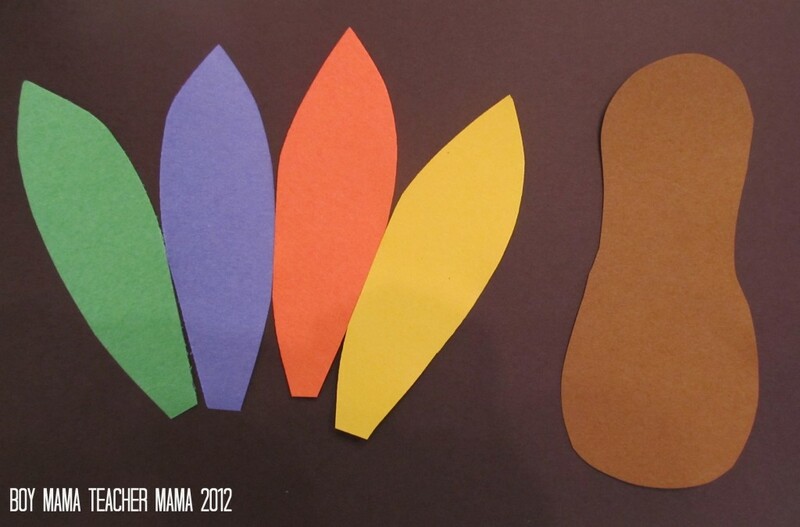 I was inspired to make this Thanksgiving/turkey activity from something my son brought home from school. I loved the idea (and he was so proud) so I created my own version. 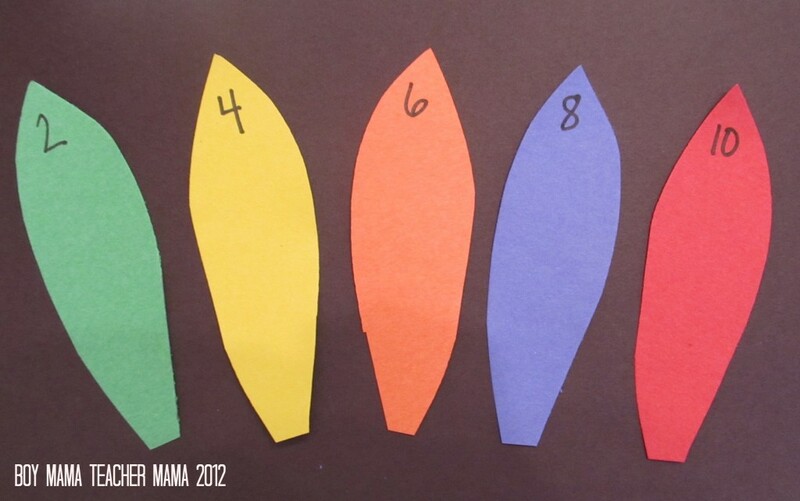 Cut out several feathers from the colored paper or have your students cut out the feathers. 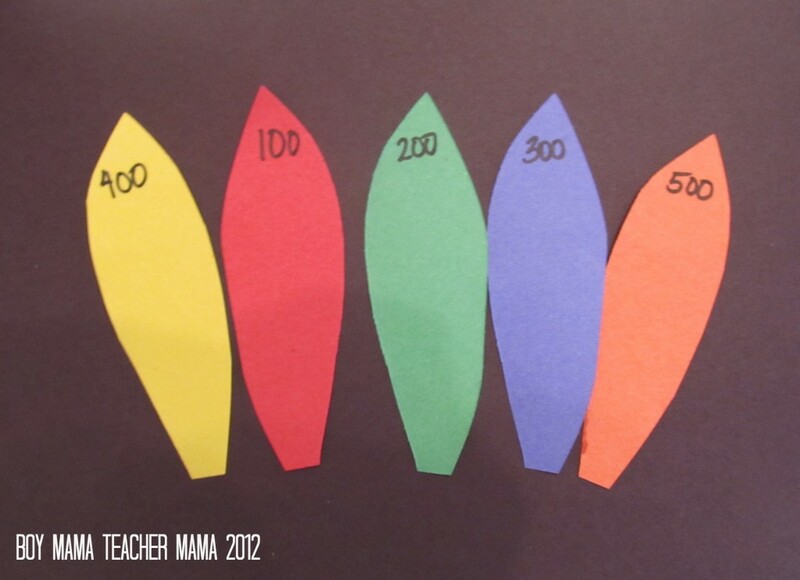 Decide what number sequence you would like your students to practice. Some example are shown below. 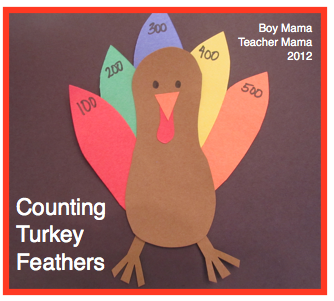 Write the numbers on the feathers or have your students write the numbers on the feathers. 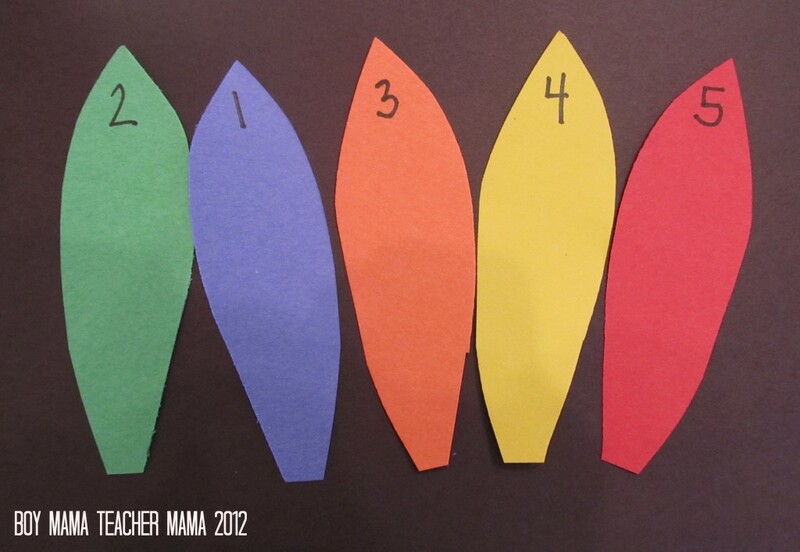 To Create: Have your students glue the feathers on the turkey in the correct order. Add eyes, a wattle, a beak, legs and feet. 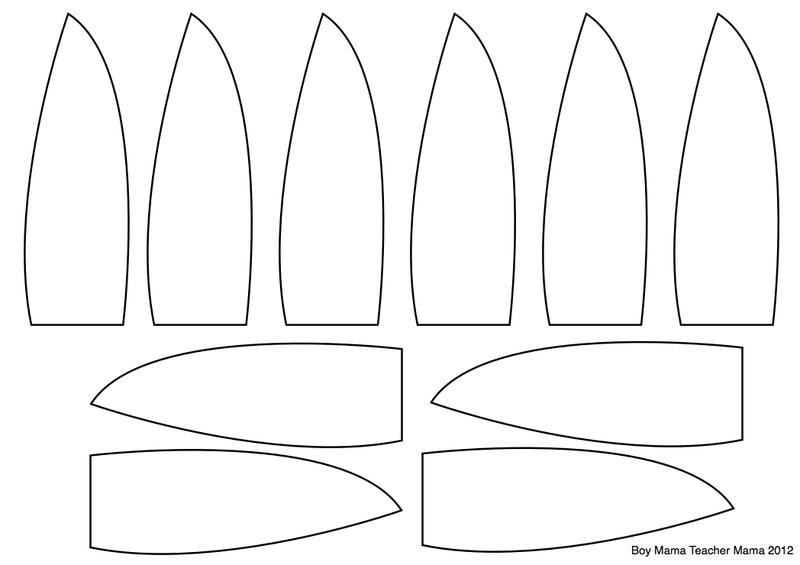 Using the Templates: If you choose to use the feather templates, print out one page for each student. Have the children write the number sequence you are practicing on the feathers. 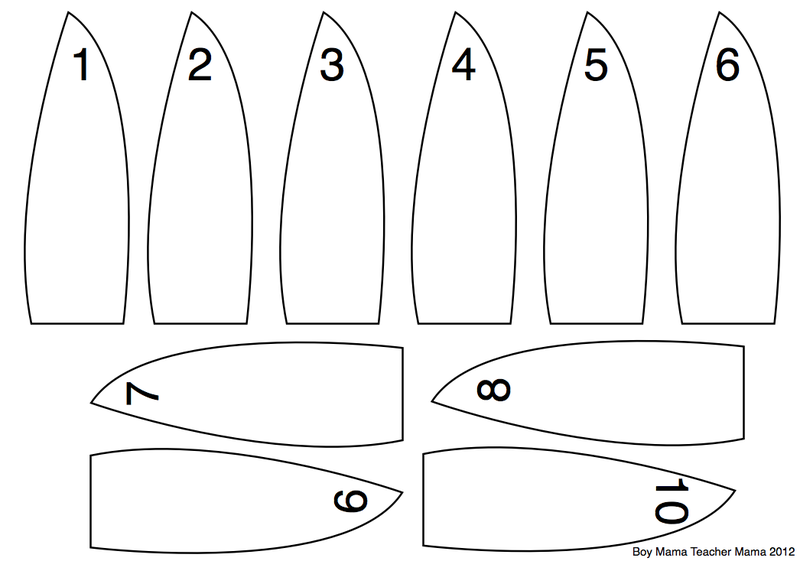 Then color and cut the feathers and then follow the directions above. 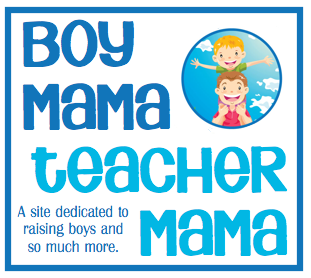 To download templates, click HERE. We will have to do this next year. I did not do a single Thanksgiving/turkey craft with my kids this year. Oops!